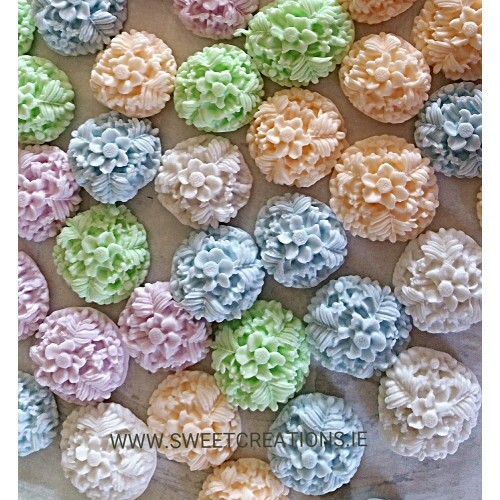 These gorgeous edible pastel cupcake toppers feature small flower and leaf details. A pack of 6 toppers with a variety of colours in each pack. €3.55per pack.